The Intendence Program Guide is now available here for download or online reading. 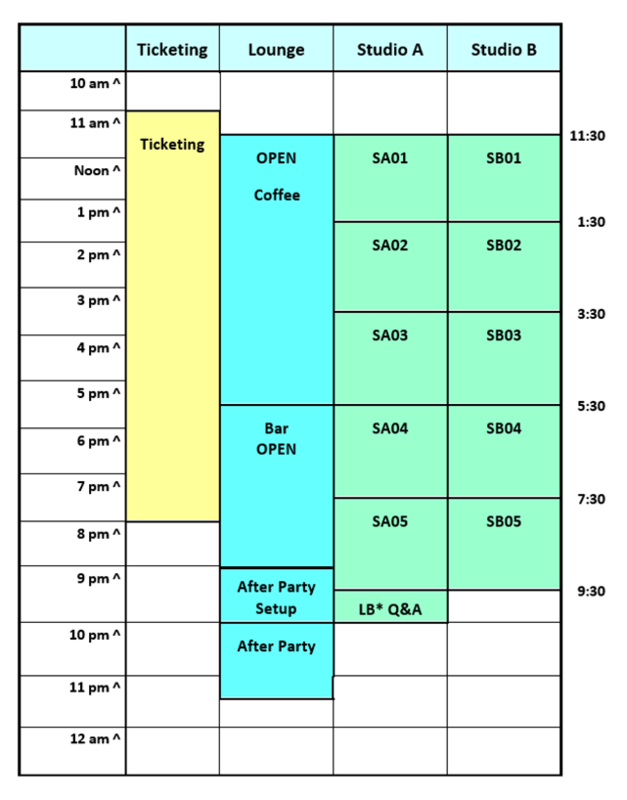 NOTE: The detailed film schedule has been added below the block diagrams. The Ticket Table at Denver Open Media will be open Friday, June 8, 5:00 pm - 8:30 pm and Saturday, June 9, 11:00 am - 8:00pm. 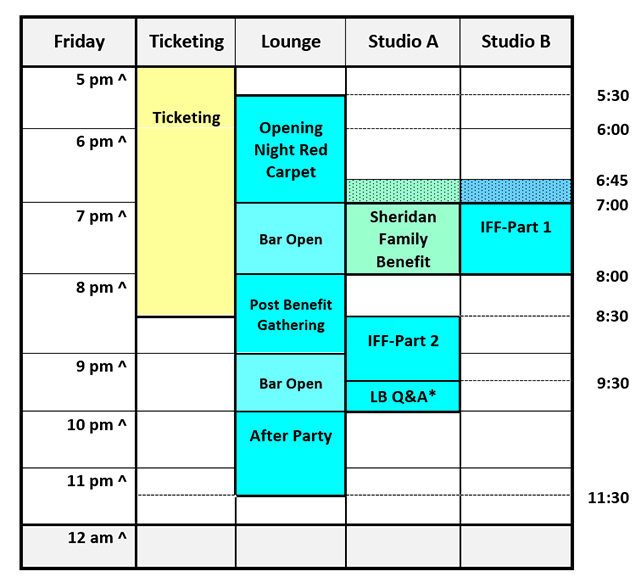 Opening Night IFF Films will be shown from 7:00 pm to 8:00 pm in Studio B and from 8:30 pm to 9:30 pm. in Studio A to accomodate the Sherican Family Benefit. The Filmmaker Q&A will be held at its usual time from 9:30 pm to 10:00 pm. Entertainment by Elizabeth Rose & Sympathy F! * Ord is the screening order within the block. SA is Saturday - Studio A. SB is Saturday - Studio B.